Martin Luther, Porträt von Christian Maximilian Baer (Ausschnitt), Öl auf Holz, 1892/94. Das Gemälde ist in Luthers Sterbehaus in Eisleben zu sehen. Former South Carolina Lt. Gov. Andrew Bauer (R) on Sunday suggested that more students are committing mass shootings because they no longer receive paddlings from teachers or watch The Andy Griffith Show. Not. The. Onion. Are these Republicans mentally ill? During a panel segment on CNN, Bauer explained that he did not expect Republicans to take action against guns after the shooting at Marjory Stoneman Douglas High School in Parkland, Florida. Larry Cotton has resigned. Finally. Larry Cotton, director of an internship program at The Austin Stone Community Church, an influential megachurch in Austin, Texas, has resigned for failing to report sexual abuse at a church he served in the past. While associate pastor at The Woodlands Parkway Baptist Church (now known as Stonebridge Church) in the mid-1990s, Cotton learned that a youth pastor on staff had sexual contact with high school girl named Jules Woodson. Cotton arranged for Andy Savage, the youth pastor, to leave the church quietly. He did not report the incident to police and allegedly advised the victim to keep her accusations to herself. Savage later went on to become a megachurch pastor in Memphis. He admitted his misconduct after the victim revealed it in a blog post earlier this year. Savage has denied his actions were illegal. His congregation, Highpoint Church, is investigatingSavage’s past conduct. The investigation will reportedly wrap up by March 1. Cotton was suspended in January. He stepped down last week, saying he failed to protect Woodson. “I now understand that I did not do enough to serve Jules and help her feel protected and cared for —I wish I had done more,” he said in his resignation letter. In a letter to the congregation, Austin Stone elders accepted Cotton’s resignation and said the church is reviewing its child safety procedures. Any abuse, they said, should be reported to the authorities. “We continue to remain committed to ensuring the safety of victims and advocacy for individuals who have suffered abuse,” they wrote in the letter to the congregation. Too bad he didn’t do that himself. Despite offering thousands of thoughts and prayers to the victims of Neil DeGrasse Tyson’s latest flurry of moronic tweets, the nation’s religious people admitted at long last that their petitions were totally ineffective at preventing the pop astrophysicist from saying stupid things online. He really does say stupid things. Is he really as smart as his publicity rep wants us to believe? A Church of England vicar has apparently been caught on video inhaling from a crack pipe and discussing prostitutes. Footage seems to show the Rev Stennett Kirby, a vicar in East London, snorting cocaine and saying: ‘I’m a very happy man’. 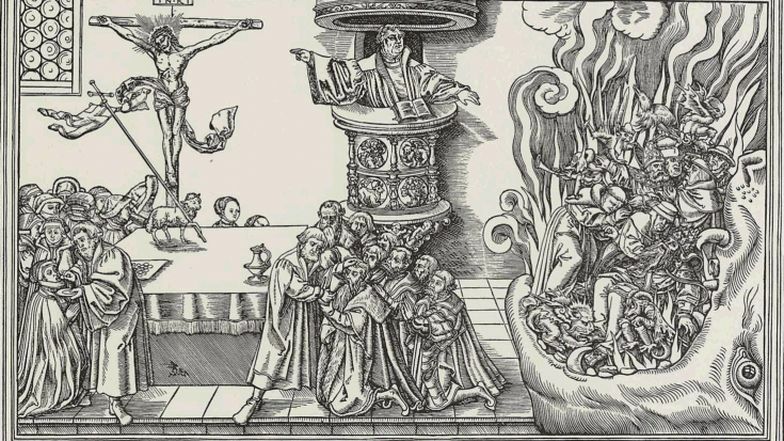 When on February 19, 1533, he [Martin Luther] was suffering exceedingly from pains in the head, he said, “I believe firmly that I don’t have these headaches and stomach pains because I work too hard, although this contributes somewhat, but rather because of my thoughts in spiritual assaults. I think it is clear that I’m in a condition like David’s, who as an old man couldn’t be warmed by a maiden253 because he was so exhausted by his temptations and thoughts. These so weakened him that he had to endure many a severe trial. What if everyone attended the way you attend? Would Sunday School exist? Would Sunday morning worship take place more than a couple of weeks a year or a couple of times a month? Would Sunday evening worship take place at all? Would Wednesday evening Bible study ever happen? What if people gave what you give to the Church in terms of time, energy, and resources? Would there be enough to keep the lights on? Would there be enough to fund ministries in the community and around the world? Would there be tithers or would there just be tippers if people gave what your give? What if people prayed like you pray? Would they pray just when they had a health problem or would they even think of people outside their family circle? Would they pray for this Country and the other countries of the world or would they just pray for themselves? What if people studied the Bible like you study the Bible? Would they read it every day or would they read it not at all? And beyond reading, would they really study it or would they really just ignore it and thus ignore a fuller understanding of the will of God for their lives? What if every Christian were just like you? What do you think the state of the Church would be? What do you think the state of the Country would be? What do you think the world would look like, if every Christian were just like you? And what if you decided, today, to be the most dedicated, devoted, committed Christian you could possibly be, and every Christian in the world were just like you?